These countertops are a stunning addition to any kitchen. Handcrafted of Hard Maple the butcher block countertops feature uniformly matched, full-length rails for a seamless look. The countertops are available in a variety of widths, from 12" to 36" to fit any kitchen application. A 4-inch backsplash is also available. Standard semi-gloss varnique finish brings out the natural beauty of the wood. Also available in oil finish for prep stations and cutting blocks. 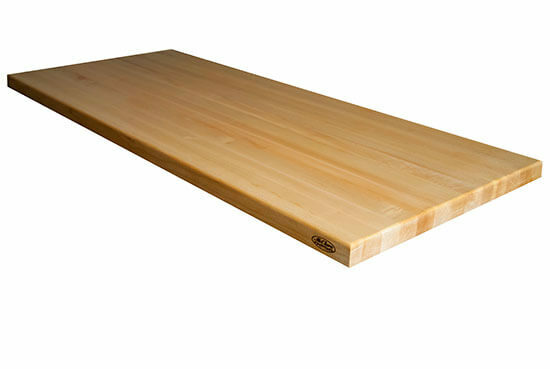 Island tops are also available in several thicknesses, including 1½", 2¼" and 3" thick edge grain Maple.